On the 1st (Wed), contemplate the waterfront views at Canal Grande. To see maps, reviews, other places to visit, and tourist information, read Venice road trip planning site . Mexico City, Mexico to Venice is an approximately 17-hour flight. You can also do a combination of flight and train; or do a combination of flight and shuttle. You'll lose 7 hours traveling from Mexico City to Venice due to the time zone difference. Expect slightly colder weather when traveling from Mexico City in May: highs in Venice hover around 26°C, while lows dip to 15°C. 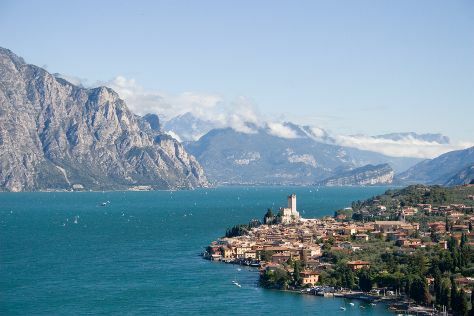 Cap off your sightseeing on the 3rd (Fri) early enough to go by car to Castelnuovo del Garda. On the 3rd (Fri), enjoy the sand and surf at Lido Mirabello Beach, then learn about winemaking at Cantina Zeni e Museo del Vino, and then learn about winemaking at Tenuta Preella Lamberti. Get ready for a full day of sightseeing on the 4th (Sat): get into the urban bustle at Borghetto sul Mincio, then make a trip to Lungolago di Lazise, and then contemplate the waterfront views at Lago di Garda. To see traveler tips, where to stay, more things to do, and other tourist information, read our Castelnuovo del Garda trip builder app . You can drive from Venice to Castelnuovo del Garda in 1.5 hours. Other options are to take a train; or do a combination of train and bus. In May, plan for daily highs up to 26°C, and evening lows to 14°C. Finish your sightseeing early on the 4th (Sat) so you can travel to San Felice del Benaco. San Felice del Benaco is a comune in the province of Brescia, in Lombardy, northern Italy. Kick off your visit on the 5th (Sun): identify plant and animal life at Gardaparagliding, take an in-depth tour of Il Vittoriale degli Italiani, then revel in the low prices at Franciacorta Outlet Village, and finally stop by Astoria Lounge Wines Store. On the next day, look for all kinds of wild species at Valtenesi del Garda, then explore the activities along Lago di Garda, and then take in nature's colorful creations at Heller Garden. To see more things to do, other places to visit, traveler tips, and other tourist information, use the San Felice del Benaco trip maker site . Traveling by car from Castelnuovo del Garda to San Felice del Benaco takes an hour. In May in San Felice del Benaco, expect temperatures between 26°C during the day and 15°C at night. Wrap up your sightseeing on the 7th (Tue) to allow time to travel to Argegno. Argegno is a comune (municipality) in the Province of Como in the Italian region Lombardy, located about 50km north of Milan and about 15km north of Como. Kick off your visit on the 7th (Tue): take in nature's colorful creations at Villa Carlotta, then admire the striking features of Villa del Balbianello, and then take in the awesome beauty at Sacro Monte di Ossuccio. On the 8th (Wed), you'll have a packed day of sightseeing: kick back and relax at Spiaggia di Onno and then step into the grandiose world of Castello di Vezio. To see other places to visit, maps, ratings, and more tourist information, use the Argegno trip planning app . Drive from San Felice del Benaco to Argegno in 2.5 hours. In May in Argegno, expect temperatures between 25°C during the day and 13°C at night. Finish your sightseeing early on the 8th (Wed) to allow enough time to travel to Como. On the 9th (Thu), indulge your taste buds at Micromercato Moltrasio, admire the landmark architecture of Parrocchia di Santa Tecla, then tour the pleasant surroundings at Lido di Faggeto Miamilaryo, and finally stop by Dep Design Store. Get ready for a full day of sightseeing on the next day: try out the rides at Acquaworld. For photos, where to stay, maps, and other tourist information, read Como road trip tool . Traveling by car from Argegno to Como takes an hour. In May, plan for daily highs up to 25°C, and evening lows to 13°C. Finish up your sightseeing early on the 11th (Sat) so you can go by car to Monteriggioni. Monteriggioni is a comune in the province of Siena in the Italian region Tuscany. On the 11th (Sat), soothe aching muscles at some of the top local wellness centers, then stop by Chianti Cashmere Goat Farm, and then do a tasting at Castello di Monterinaldi. Here are some ideas for day two: do a tasting at Dievole, then admire the masterpieces at Parco Sculture Del Chianti, and then look for all kinds of wild species at Crete Senesi. To find more things to do, photos, ratings, and more tourist information, refer to the Monteriggioni trip planner . Traveling by car from Como to Monteriggioni takes 4.5 hours. Alternatively, you can do a combination of train and bus; or take a bus. In May, plan for daily highs up to 27°C, and evening lows to 13°C. Finish your sightseeing early on the 13th (Mon) to allow enough time to drive to San Gimignano. On the 13th (Mon), take a stroll around Comune Di Certaldo, do a tasting at Guardastelle Vineyard, then get to know the fascinating history of San Gimignano 1300, and finally don't miss a visit to Duomo di San Gimignano. Get ready for a full day of sightseeing on the 14th (Tue): make a trip to Piazza della Cisterna, steep yourself in history at Torre Grossa, then don't miss a visit to San Gimignano Bell Tower, then take in the spiritual surroundings of Church of Sant'Agostino, and finally don't miss a visit to Historic Centre of San Gimignano. To find maps, photos, and tourist information, read our San Gimignano trip planner. You can drive from Monteriggioni to San Gimignano in an hour. Alternatively, you can take a bus. May in San Gimignano sees daily highs of 25°C and lows of 13°C at night. 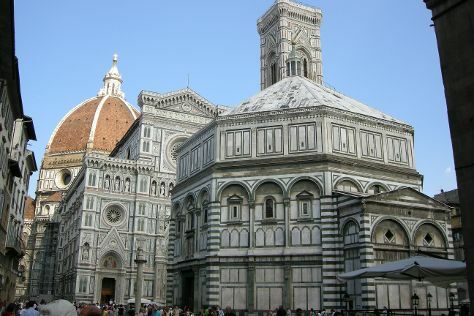 Cap off your sightseeing on the 15th (Wed) early enough to go by car to Florence. Start off your visit on the 15th (Wed): take in the spiritual surroundings of Cathedral of Santa Maria del Fiore, explore the world behind art at Uffizi Galleries, then stop by Janniderma, and finally examine the collection at Galleria dell'Accademia. Keep things going the next day: admire the masterpieces at Pitti Palace, stop by I'Mago, and then do a tasting at Castello del Trebbio. To find reviews, other places to visit, maps, and tourist information, read our Florence journey planner. Drive from San Gimignano to Florence in an hour. Alternatively, you can take a bus; or do a combination of bus and train. In May, daily temperatures in Florence can reach 25°C, while at night they dip to 13°C. Wrap up your sightseeing by early afternoon on the 17th (Fri) to allow enough time to take a train to Naples. Naples is the capital of the Italian region Campania and the third-largest municipality in Italy after Rome and Milan. 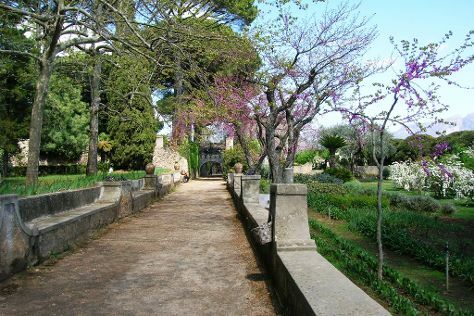 On the 17th (Fri), wander the streets of Spaccanapoli. Here are some ideas for day two: look for gifts at Fashion Victim Store, then see the interesting displays at National Archaeological Museum of Naples, and then delve into the distant past at Gli Scavi Archeologici di Pompei. To see other places to visit, ratings, reviews, and other tourist information, go to the Naples tour planner. Getting from Florence to Naples by train takes about 3 hours. Other options: do a combination of train and flight; or drive. Expect somewhat warmer evenings in Naples when traveling from Florence in May, with lows around 17°C. Finish your sightseeing early on the 19th (Sun) so you can travel to Nola. Nola is town and a modern municipality in the Metropolitan City of Naples in Italy. On the 20th (Mon), make a trip to Duomo di Nola, see the interesting displays at Museo Archeologico dell'Antica Nola, and then get outside with La Masseria. Keep things going the next day: look for gifts at Vulcano Buono, take in the architecture and atmosphere at Convento di Santa Maria a Castro, then view the masterpieces at Museo Della Civilta Contadina, and finally take in the spiritual surroundings of Complesso Basiliche Paleocristiane. To find traveler tips, ratings, and more tourist information, read our Nola trip itinerary builder app . You can drive from Naples to Nola in an hour. Expect a daytime high around 27°C in May, and nighttime lows around 17°C. Finish your sightseeing early on the 21st (Tue) so you can travel to Ravello. Ravello is a town and comune situated above the Amalfi Coast in the province of Salerno, Campania, southern Italy, with approximately 2,500 inhabitants. For shopping fun, head to Ceramiche d'Arte Carmela or Ravello Arte. Take a break from the city and head to Fornillo and Valle dei Mulini. Change things up with a short trip to Feludei in Positano (about 50 minutes away). There's much more to do: contemplate in the serene atmosphere at Duomo di Ravello, stop by La Bottega delle Arti, see the interesting displays at Museo della Carta, and Head underground at Cave of Smeraldo. Plan trip to Ravello with our itinerary maker to find out where to go and what to do. You can drive from Nola to Ravello in 1.5 hours. Traveling from Nola in May, plan for somewhat warmer nights in Ravello, with lows around 21°C. Finish your sightseeing early on the 24th (Fri) to allow enough time to ride a ferry to Capri. Kick off your visit on the 25th (Sat): explore the fascinating underground world of Blue Grotto, contemplate the waterfront views at Marina Piccola, tour the pleasant surroundings at Marina Grande, then explore the galleries of Villa San Michele, and finally take your sightseeing to a higher altitude at Monte Solaro. Get ready for a full day of sightseeing on the next day: make a trip to Piazza Umberto I, tour the pleasant surroundings at I Faraglioni, take in nature's colorful creations at Giardini di Augusto, take some stellar pictures from Belvedere Cannone, then take in the architecture and atmosphere at Chiesa San Michele, and finally look for gifts at Ceramiche Tavassi. To see reviews, photos, maps, and more tourist information, use the Capri trip maker app . Ride a ferry from Ravello to Capri in an hour. Alternatively, you can do a combination of taxi and ferry. Traveling from Ravello in May, expect little chillier with lows of 18°C in Capri. Cap off your sightseeing on the 26th (Sun) early enough to travel to Rome. Get some historical perspective at Palatine Hill and Piazza Navona. Get some cultural insight at Vatican Museums and Trastevere. There's much more to do: make a trip to Pantheon, explore the ancient world of Colosseum, stroll the grounds of Catacombe di San Callisto, and take a stroll through Via Condotti. To find ratings, maps, and more tourist information, read our Rome trip itinerary tool . Do a combination of ferry and train from Capri to Rome in 3 hours. Alternatively, you can do a combination of ferry and car; or do a combination of ferry and flight. In May, plan for daily highs up to 28°C, and evening lows to 17°C. Finish up your sightseeing early on the 29th (Wed) so you can travel to Marseille. On the 30th (Thu), take in the spiritual surroundings of Basilique Notre-Dame de la Garde, then stop by Trois Fenetres, then wander the streets of The Panier, and finally take an in-depth tour of Museum of European and Mediterranean Civilisations. 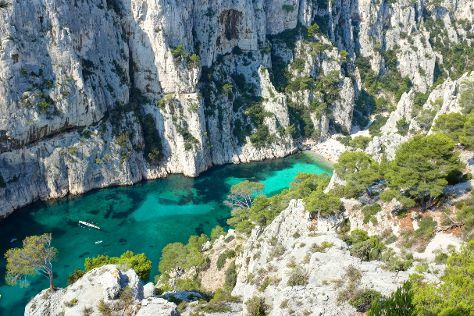 Get ready for a full day of sightseeing on the 31st (Fri): stroll through La Calanque de Figuerolles, then stop by Pastis Et Compagnie, and then take in the dramatic natural features at Calanques. To find more things to do and more tourist information, you can read our Marseille travel route planning site . You can fly from Rome to Marseille in 4.5 hours. Alternatively, you can do a combination of flight and train; or drive. Expect a daytime high around 26°C in May, and nighttime lows around 14°C. Wrap up your sightseeing on the 31st (Fri) to allow time to travel to Cap d'Ail. Kick off your visit on the 1st (Sat): admire the natural beauty at Le Jardin exotique d'Eze, contemplate the long history of La cité médiévale, then steep yourself in history at Villa Grecque Kerylos, and finally steep yourself in history at Villa & Jardins Ephrussi de Rothschild. Get ready for a full day of sightseeing on the next day: appreciate the extensive heritage of Chemin Frédéric Nietzsche, enjoy the sand and surf at Paloma Beach, stop by Deli', then take in the architecture and atmosphere at The Church of Èze, and finally get to know the fascinating history of Promenade Le Corbusier. To find ratings, maps, photos, and other tourist information, you can read our Cap d'Ail trip planner . Getting from Marseille to Cap d'Ail by car takes about 2.5 hours. In May in Cap d'Ail, expect temperatures between 24°C during the day and 17°C at night. Wrap up your sightseeing on the 2nd (Sun) early enough to travel to Nice. You'll explore and learn at Museum of Modern and Contemporary Art and Musée Marc Chagall. Escape the urban bustle at Castel Plage and Lérins Islands. Get out of town with these interesting Nice side-trips: Cannes (Le Suquet & La Croisette). 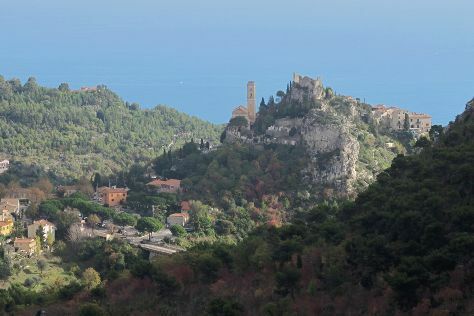 The adventure continues: take a stroll through Vieille Ville, steep yourself in history at St Nicholas Orthodox Cathedral, Nice, get to know the fascinating history of Saint-Paul de Vence, and take in the architecture and atmosphere at Eglise Saint Pierre. To see photos, other places to visit, maps, and more tourist information, refer to the Nice trip builder app . Nice is very close to Cap d'Ail. Expect a daytime high around 28°C in June, and nighttime lows around 22°C. 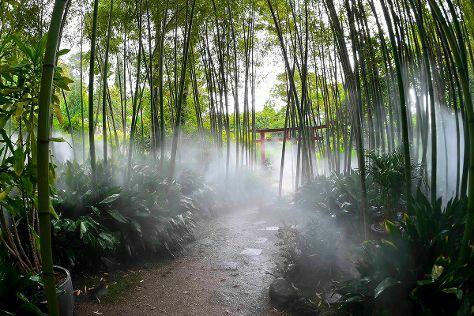 Wrap up your sightseeing by early afternoon on the 7th (Fri) to allow enough time to travel back home.